Tron Chrome Wallet version 1.7 has been launched on the 14th of June. The launch had been given a slogan “Tron (TRX) wallet for chrome browser, access to the network of Tron from your favorite web browser. 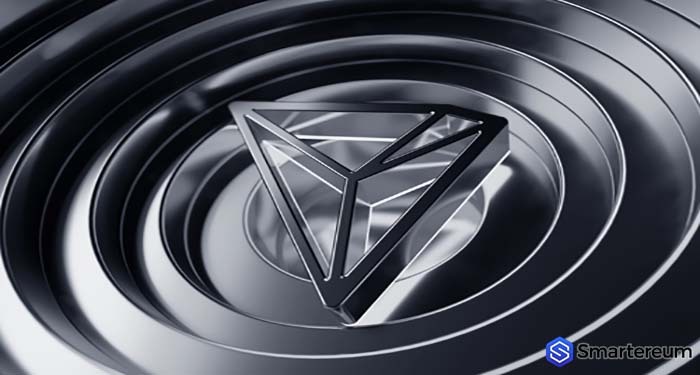 The developer of the Tron Chrome wallet is known as Jake Lin, and can perform a wide range of functions including wallet creation, display of transaction records, voting, display of balance list, participate in issuing of tokens, receive tokens, issue tokens, and transfer token, these are just a few functionalities of the Tron Chrome Wallet. The wallet is said to be designed specifically for the Chrome browser as a plugin. Besides being fast, the wallet is stable in performance and it has a user-friendly user interface (UI). The official Medium of Tron contains the step by step guide on how you can set up the wallet. Tron is getting ready for the token migration which is just a couple of days from now. At the moment, users have been asked to move their Ethereum-based tokens to digital currency trading platforms that are supported by the migration. The token migration started on the 15th of June, and users are expected to move their coins before the switch day. After the switch, users will get an equal amount of their tokens on the various platforms they moved their tokens to. This time around, the tokens will no longer be Ethereum-based but Tron blockchain-based tokens. The gaming sector has now become arguably one of the fastest-growing sectors in technology. Although Blockchain technology has also followed a similar trajectory, it is yet to crack the or expand the gaming sphere. Blockchain’s technology, although a revolutionary initiative, hasn’t been able to break the shackles placed by its technical constraints. Scalability, as well as speed, plus the cost of maintaining large games on leading platforms such as Ethereum (ETH) has resulted in many failed efforts. This has forced companies to abandon their Blockchain initiatives in droves. However, TRONs CEO Justin Sun believes the network has the necessary infrastructure to readily address these issues. According to him: “Product-wise we can say we have super-fast Blockchain technology at nearly free cost.” Before this point, TRON (TRX) recently surpassed its record of 1.3 million transactions per second. This broke Ethereum’s record. But the company now has to demonstrate that it has the peaks and magnitude to ensure that the issues affecting the gaming sector are put away. The startup must be able to handle the steady flow of millions and millions of transactions (which is something that many others have promised but yet failed to deliver).